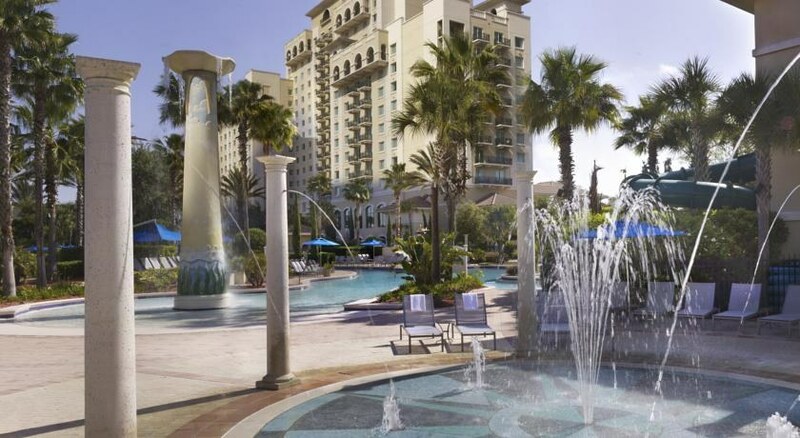 Omni Orlando Resort at Championsgate is a luxurious family-friendly property is one of the USA’s premier golf retreat, surrounded by two 18-hole championship golf courses, a 18-hole miniature golf course and the Leadbetter Golf Academy. The hotel is also ideally located in proximity to the major theme parks like Walt Disney World, Universal Studios and SeaWorld. Featuring 720 well-appointed guest rooms and suites, plus two and three bedroom villas furnished with all modern conveniences and luxury amenities, this is probably the best accommodation that you can choose for a fun-filled Orlando getaway. There are 7 restaurants specialising in cuisines ranging from Italian to Chinese, steak and seafood. For relaxation, there’s 15 acres of pools with private cabanas, an 850-feet lazy river and the delightful European-style Mokara spa. With year-round activities and a curated calendar of events and activities that take place around the pool, in the spa, at the golf course and in the restaurants, Omni Orlando Resort offers you a memorable stay. 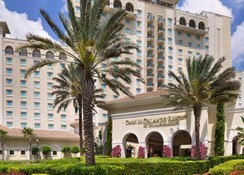 Omni Orlando Resort is located 12.7 km from Walt Disney World. The nearest airport is Orlando International Airport, which is around 25 minutes’ away (31 km). Universal Studios and Orlando Premium Outlets are a 20-minute drive by car from the resort. 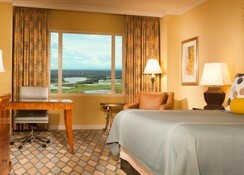 Omni Orlando Resort has 720 well-furnished rooms and suites elegantly designed in modern furnishings and amenities. 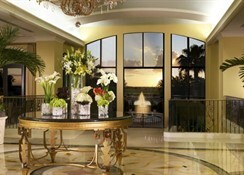 The accommodation options at the resort is classified into 3 categories: rooms, suites and villas. All the rooms come with en-suite bathrooms, balconies and/or golf course views, flat-screen cable TV, mini refrigerator, safety deposit box, telephones, Wi-Fi and coffee maker. 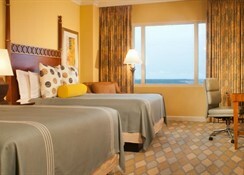 Suites have with sofa beds, fully equipped kitchenette, wet bars and dining areas. There are 5 dining options at Omni Orlando Resort, ranging from the casual to the upscale. Zen is a Chinese restaurant with a sushi and sake bar, while David’s Club is an upscale sports bar and grill that serves excellent steaks. Trevi’s offer family-style Italian dining indoors or at the outdoor herb garden. Piper’s Grille and Championsgate Lounge serves great breakfasts, salads, sandwiches and lunch options. There are 2 bars and lounges at the resort: Lobby Bar and the poolside Croc’s. Morsel’s is the go-to place for non-alcoholic beverages and Broadway Deli offers snacks and gelato. 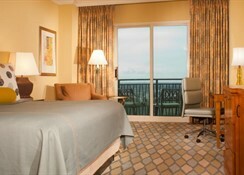 Guests can also opt for in-room dining. Omni Orlando Resort is surrounded by two 18-hole championship golf courses, a lighted nine-hole, par 3 golf course and the headquarter of the Leadbetter Golf Academy. Three large outdoor pools – a zero-entry family pool, quiet pool and wave pool – a lazy river kids’ pool with slides and poolside private cabanas offer an opportunity for guests to relax. There is a Mokara Spa that provides treatments, massages and therapies for rejuvenation. The Camp Omni Kids Escape offers kid-friendly dinners, movies, video games, board games and other entertaining activities for the little ones. There’s also a shopping arcade, basketball court and sports training complex. The hotel provides transport and ticketing facilities for nearby theme parks.